“Thai-ing Up the TRIPs Agreement: Are Compulsory Licenses the Answer to Thailand’s AIDS Epidemic?,” Pace University Law Review, Fall 2007. “Is a Certificate of Insurance Worth the Paper it is Printed On?” The Logistics Journal, November 2011, pgs. 11-12. Stephanie Skees graduated from the University of California at Santa Barbara in 2000 with a B.A. in Biology. She also conducted under graduate research in Organic Chemistry and Materials. After graduation, Ms. Skees worked in the medical field for several years. Ms. Skees attended law school at California Western School of Law in San Diego, graduating in 2008. While in law school, She served as the Vice President of the Student Intellectual Property Law Association and was the recipient of the Andrea L. Johnson Telecommunications Award. Prior to joining Daley & Heft, Ms. Skees practiced with an Orange County insurance defense firm. She is an experienced litigator, working on a broad range of cases including premises liability, personal injury, wrongful death, defamation, products liability and common carrier representation. 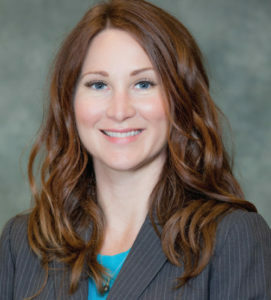 She has extensive experience in law and motion practice, mediation and trial preparation as well as all phases of discovery, including depositions. She has used an innovative and cost effective approach which has greatly benefitted her clients.